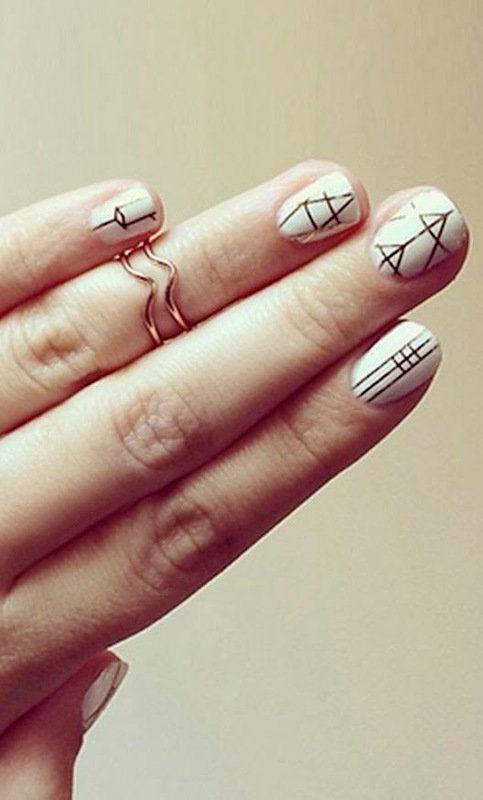 The nail game has been getting serious in the past few years, from the art to the different techniques. 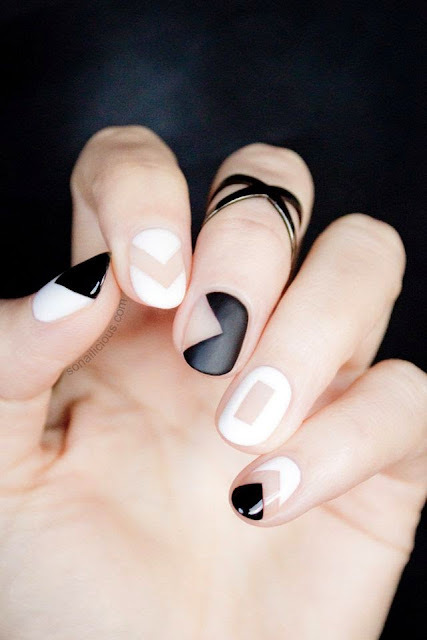 My nail game boils down to simple one colour gelish every 3 weeks but I'm crushing on these geometric nails above. 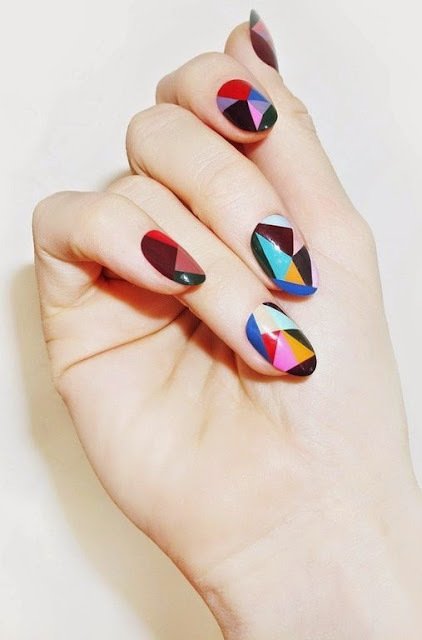 I love, love, love nail art! I've been trying to practice it recently, these all look fab! They take some time and work. How did it work out for you? Artworks, muakes from Seville (Spain)!!. Such a lovely post, really pretty images!